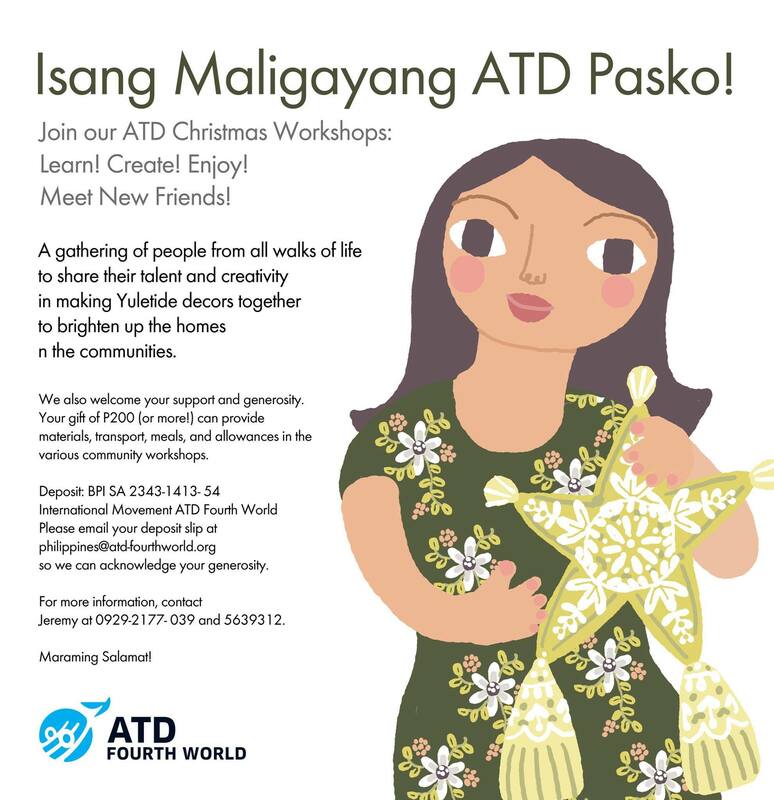 Every December, we conduct our Christmas Workshops to teach Yuletide decorations to our community members. Most of the ideas are suggested and taught by our community facilitators using common or recycled materials. Children and their parents create the decorations like giant “parols” (star lanterns) to brighten up their homes or to display in their community. Aside from learning, it is an opportunity for every one (ATD friends, volunteers, and families) to interact and socialize. We culminate our workshops with a Christmas party filled with games and laughter.